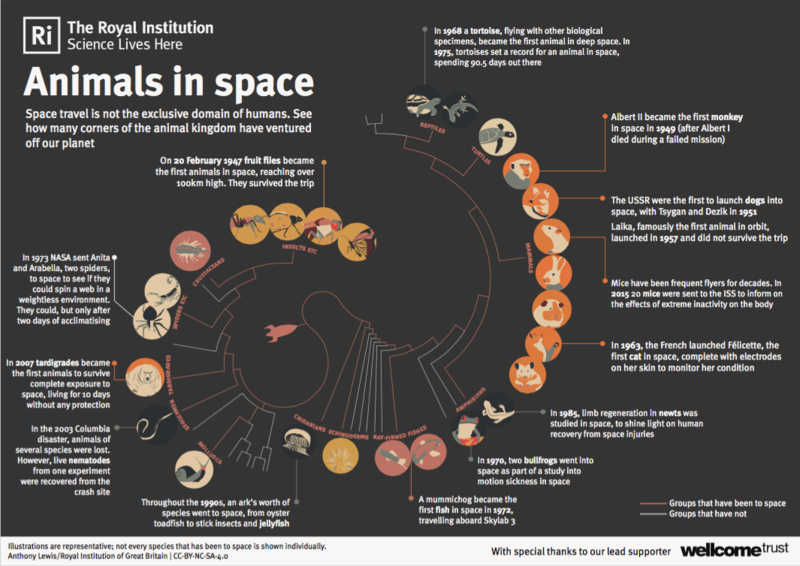 This graphic takes a look at which animals have travelled to space, produced as part of the Royal Institution’s 2015 advent calendar. Visit the project archive for web versions of this graphic, and a downloadable A3 poster. © 2019 Anthony Lewis All Rights Reserved.